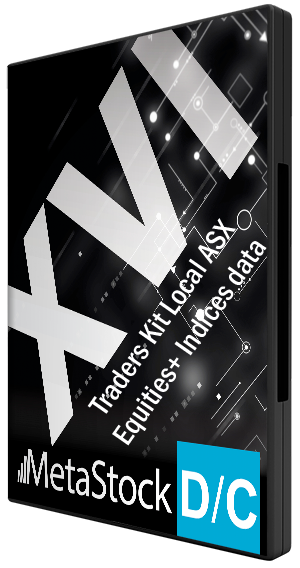 Home / (2) Metastock V16DC Traders Kit Local Premium ASX Equities+ Indices + World Indices data. When you purchase the Traders Kit you receive everything you need to start trading successfully. You receive the latest version of the MetaStock 16DC software, a 12 month subscription to our Premium ASX Equities/Indices and Overseas Indices annual data service, Oracle 7 Add-on, Unleash the power of Metastock workbook plus 12 months local telephone and email support from Oracle Traders – the MetaStock experts. We also offer the very best quality local Metastock data covering USA Equities/Indices ( NYSE, NASDAQ, AMEX NYSE ARCA), World Futures and FOREX markets. PLEASE NOTE: The standard Traders Kit includes our ASX Equities/Indices and Overseas Indices annual data service.